Hamilton Health Sciences is the go-to centre for many patients requiring critical care in our region. We are a regional hub for trauma, cardiac, and burns, meaning we care for some of the sickest patients in Central South Ontario. Our teams care for patients who either have, or are at high risk of developing a life-threatening disease or injury, or those who have had major surgeries. 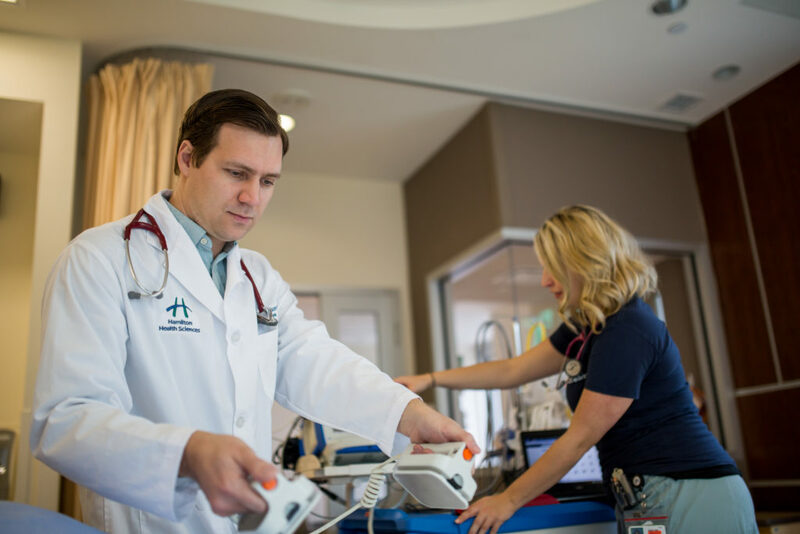 Our critical care areas, such as the intensive care unit (ICU), have advanced life-support technology and monitoring equipment, and are staffed 24/7 by a team of healthcare professionals from many different specialties. We also provide 24/7 doctor coverage through our Rapid Response Teams (RACE) at both Juravinski Hospital and Hamilton General Hospital.